Pretty and useful enough to take everywhere! 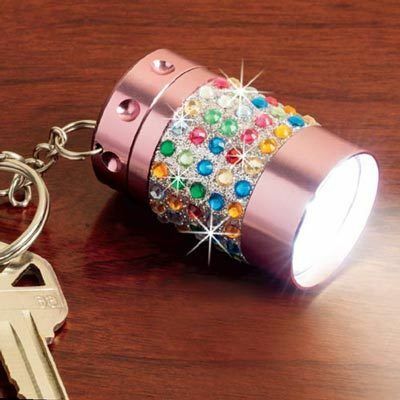 Pearlescent mini Pink Bejeweled Ultra Flashlight Keychain with keychain attachment and brightly colored, faceted faux gem accents. Nine ultra-bright LED lights. Uses two cell batteries (included). 2"l.
Beauty & usefulness - love this key ring.